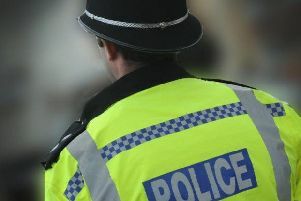 Police have arrested and charged a 19-year-old man in connection with a robbery and kidnap in Warwick. The man was arrested after presenting himself at Leamington Police Station last Friday (March 29) following a police appeal. The charge relates to an incident in Shakespeare Avenue in Warwick, on March 25. Haq appeared at Warwick Magistrates' Court on Saturday (March 30) where he was remanded to appear at Warwick Crown Court on April 25. Leon Haq, 24, of St Gregory's Road, Stratford, and Islam Haq, 25, of St Helen's Road, Leamington, both appeared in court in connection with the incident last week and were remanded in custody to appear at Warwick Crown Court on April 25.